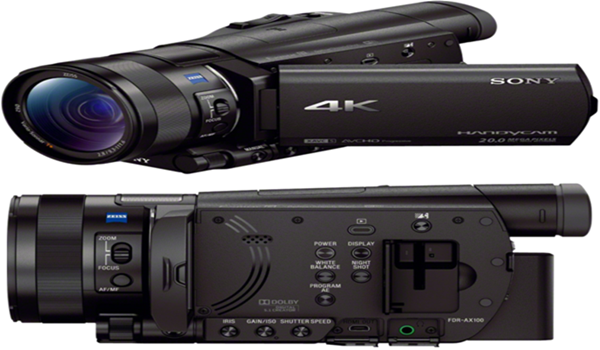 Sony launched its new FDR-AX100 camcorder for shooting 4K videos in a very cheaper price as compared to other camcorder.Sony FDR-AX100 have 20 mega-pixel 1″ Exmor R CMOS sensor stills and 3840 x 2160 resolution videos with 100 percentage quality result and 29 mm wide-angle Carl Zeiss Vario-Sonnar T lens supports up to 12X optical zoom, a high resolution touch panel with built-in wireless, Bluetooth capabilities and NFC. 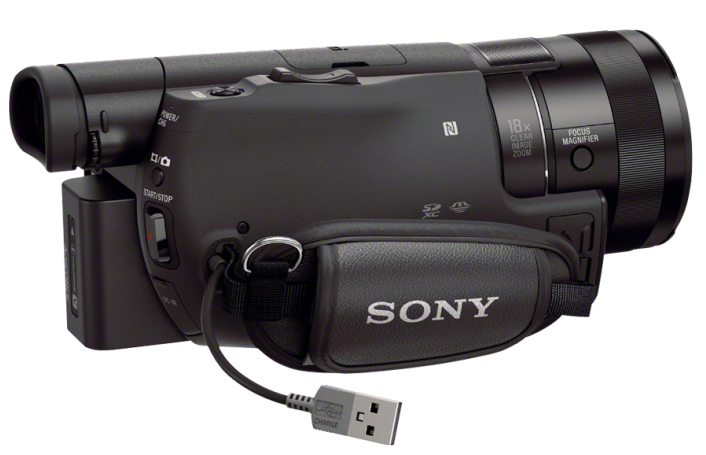 Sony FDR-AX100 handy-cam have abilty to shoot 4K videos at either 24 or 30 fps in XAVC-S or MP4, as well as Full HD slo-mos at 120 fps. Through Sony FDR-AX100 Users can create a warm, rich texture to recordings with the help of the unit's Cinema-tone Gamma/Colour function, and Optical Steady-shot image stabilization can help to capture handheld memories without the blur. This handy-cam FDR-AX100 have 3.5 inches LCD touch-screen display with standing alongside an OLED viewfinder. 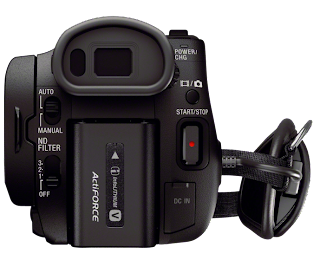 There's also an intriguing feature called My Voice Cancelling that reduces vocals from behind the camera without touching the subject's voice.